It offers B.Tech (Information Technology) with a yearly intake of sixty students. The department of Information Technology offers engineering programme at the undergraduate level. The course is designed to provide comprehensive knowledge of Information Technology with emphasis on applications together with a judicious blend of technical skills. The department emphasis the use of learning tools for the acquisition of knowledge and skills. Role-play, case study, project work, practical exposure, assignments, quiz, seminars, industry visits are some of the methods used for teaching learning process. The curriculum provides, not only provides technical knowledge but also the exposure to recent technologies. To impart good quality engineering education, the department focuses on development of practical and application oriented minds. It is our attempt to make students learn by doing rather than by simply learning of topics and subjects. To impart quality engineering education, enhance problem solving skills, foster research and innovation, encourage entrepreneurship and mold students of integrity and ethics to provide leadership with social sensitivity for the betterment of the country and humanity as a whole. To provide a learning environment that helps students to be successful in their professional lives and to prepare student to be lifelong learners by offering a solid theatrical foundation in computing along with applied computing experiences and educated them about their professional, and ethical responsibilities. To have high quality faculty and staff with an appropriate know how and degrees with a commitment to remain professionally advanced through ongoing research and professional development program. The information Technology Department of Government Engineering College, Banda would continue to provide leading program in the field of computing. The graduates produced would be globally recognized as innovative and well prepare computing professionals. These graduates would be leaders and innovators in the industry, education and other walks of social life. It is a general observation that students at the entry level of undergraduate programs. 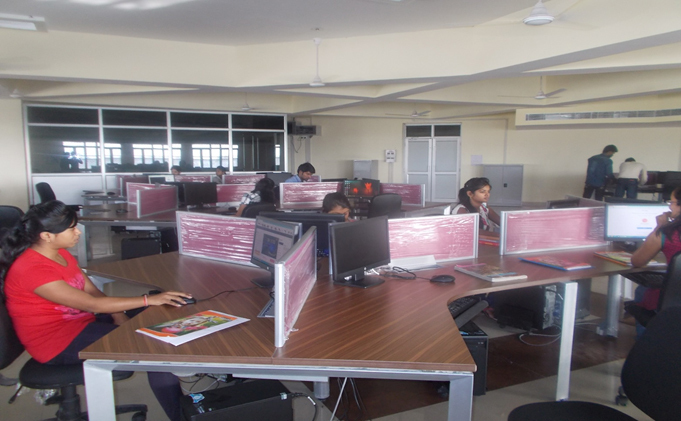 It provide practical exposure and on-hand working environment to such students, The computer Center has over 90 computer made available in central air conditioned laboratory of the college building. They are fully networked with branded HP (I3) systems and servers with one Laser Printer. High internet speed of 15 Mbps, broadband internet connectivity has been provided in main computer center with at least one faculty and technical staff to guide them. An integrated Cabinet with speakers and other accessories. This LAB is innovation Lab. 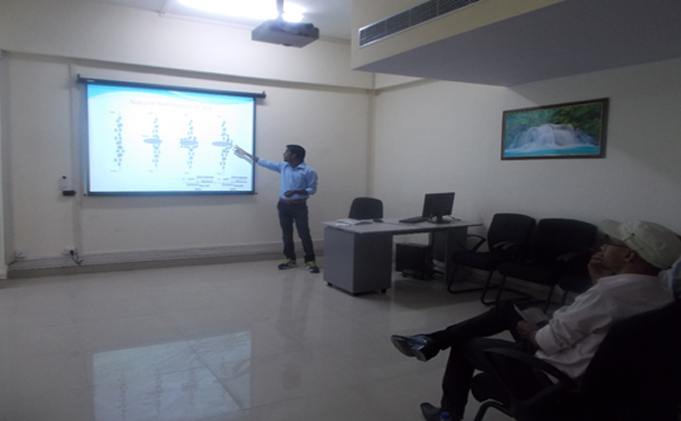 In this LAB students work on new Technologies and expert in contemporary technologies like PHP. The Lab is fully centralized air conditioned and well furnished. This Lab consists of one server and 30 computers with one printer etc. The Department has a well-equipped, fully centralized air conditioned, well-furnished Project Lab. This LAB consists of 30 Machines and a smart Board to full fill the presentation needs. The CAD Laboratory is a central facility of the institute where all undergraduate students, and faculty members- can work with the sophisticated 2-D & 3-D design and analysis software. They can learn to use the latest software and carry out their research work. The CAD Laboratory has a total number of 30 computers (desktops and workstations) with the latest configurations connected with a high-end server through switched networking. In this LAB we study of basic matrix operation. It is introduction to MATLAB. So its solve linear equations. In this LAB students work on determination of roots of Polynomial. And determination of R-L-C circuits. In this LAB use MATLAB software for interpret different problems related to equations. A modern central Exchange, equipped for broadband data provided by BSNL. A exchange is a telecommunications system used in our college. An exchange consists of electronic components and in older systems also human operators that interconnect (switch) telephone subscriber lines or virtual circuits of digital systems to establish Internet Connection. Group of three powerful machine is maintained in Server Room for the proper execution of integrated ERP of the college. These server hosts application allowing users in the network to run and use them, without having to install a copy on their own computers. Unlike what the name might imply, these servers need not be part of the World Wide Web; any local network would do. An array of 80 uninterruptible power supply, UPS or battery/flywheel backup, is maintained in our college that provides emergency power to a load when the input power source, typically mains power, fails. These panel of UPSs used to protect hardware such as computers, data centers, telecommunication equipment or other electrical equipment where an unexpected power disruption could cause injuries, fatalities, serious business disruption or data loss.